So, you have a stamp collection your looking to cash in on. If it's you are a stamp collector and have a personal collection, you most likely have a good idea about what you have - and what it's worth. However, if you aren't an avid stamp collector and inherited a stamp collection, or perhaps found one at a yard sale, the first thing you need to do is get it appraised. The first is the catalog value. This is the value you'll find in pricing catalogues for stamps. They aren't cheap to buy, so you may want to try your local library. A stamp dealer can also give you an estimated catalog value for your collection. The second, and most important, is the retail value. This is what stamps are selling for in the current market. You can view stamps on online bidding sites like Ebay and see which ones have bids, and what those bids are. Don't be fooled by the what the seller is listing or asking for. Most likely if it's near catalog value, it won't have any bids on it. The current retail value for general stamps is anywhere between 5-30% catalog value (depending on the condition). 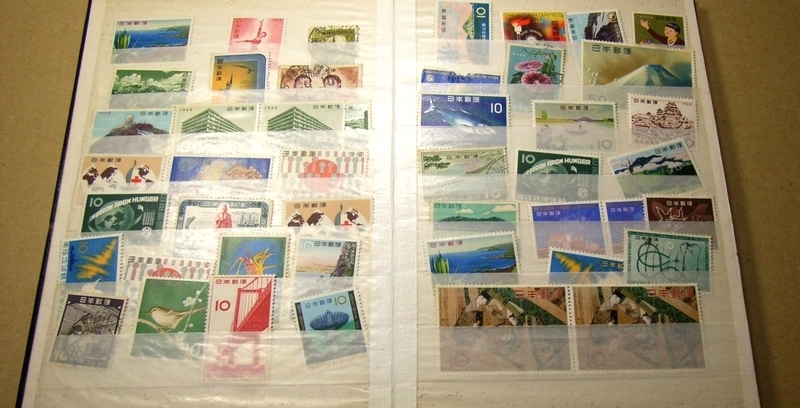 More desirable categories of stamps can fetch 40-80% catalog value. Rarely does a stamp sell at catalog value. These stamps are superb examples and conditions of rare stamps. Just because a stamp is old doesn't mean it's worth a fortune, or anything for that matter. There are several examples of stamps over 100 years old that have little or no collector value. That's because they made millions of them, and they are as common to stamp collectors as flies on horses. Think about baseball cards. Perhaps only one out of a thousand have any significant value. Now multiply that by 100,000 - as there are well over 100,000 times more stamps made across the world than baseball players that have ever played the sport. If your collection is in an old cigar box or stuffed in envelopes, there's a very good chance that it's not worth anything. Most collectible stamps are cared for and displayed in albums because the collector paid good money for them.